In 1967, the Royal Canadian Mint issued a special series of coins to commemorate the centennial of Canadian Confederation. 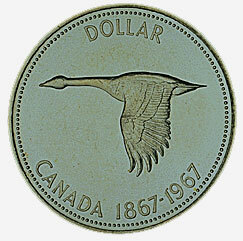 The images, designed by painter Alex Colville, depicted Canadian flora and wildlife, such as the Canada goose found on this $1 coin. 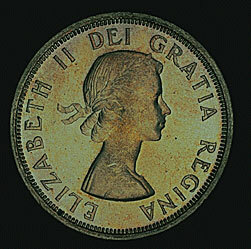 The 1967 series was intended for general use rather than for collectors. 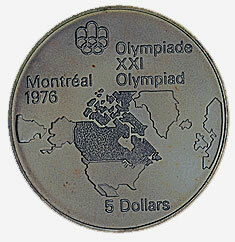 However, some coin issues, such as that for the 1976 Olympic Games, are specifically aimed at the collectors' market. Gold coins are also issued as collector's items. 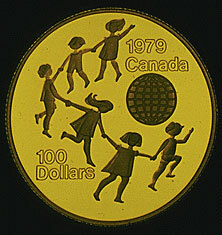 This 1979 $100 gold coin commemorates the International Year of the Child.